I came across some info about this elusive pet. There's a trick to getting the Snowshoe Hare to spawn. 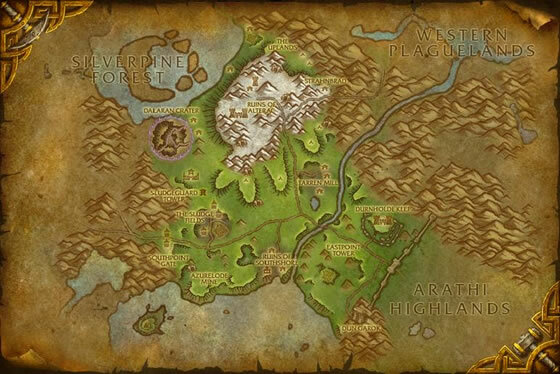 Go to the Ruins of Alterac in Hillsbrad Foothills. Sweep the snowy areas N&S of the ruins. Look for clear white snow. Dont look in the ruins or brown areas. Now go to the town, Strahnbrad. Therell be 3 Rat BPs there. Kill them. That triggers hares to spawn. They can spawn as critters or BPs. Kill the critters. After 1 min they both will despawn. Repeat as needed. THREE HOURS of circling the ruins, killing every battle pet or non-battle critter! Half disappeared before I could even interact with them thanks to that stupid phasing thing. All I wanted was an S/S breed of ANY quality. Finally gave up and went to the crater. About five minutes killing every battle pet I could find (only ended up covering the top half of the crater) and I got it. It's Uncommon, but believe me when I say the stone will be worth not having to continue that search. Found mine as a secondary pet to a rat in the Dalaran Crater. Just got a rare one as a secondary pet to a [Rat] at the Dalaran Crater (Hillsbrad Foothills), if you have no luck at the ruins like me maybe this will work out for you instead. Good luck! On a side note, the little brat doesnt follow you around and, after awhile, it...disappears LOL Good fighter though. 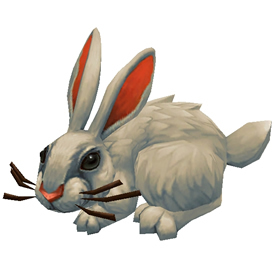 So I finally got a rare snowshoe hare after what feels like forever camping out in alterac mountains (I read somewhere that they only appear when the weather is snowing. I never saw it snowing to verify). Anyhow, I read somewhere that these share a spawn with the rats in strahnbrad (east of alterac mountains). Basically, fly around in circles killing the rats and non combat hares and you should start seeing them. I had the best luck in the little strip just west of strahnbrad with all the trees. Got mine as a secondary pet to the rat in Dalaran Crater. It was poor but I will take it and use a battle stone. Good Luck all! I just watched two pop up where it shows on the map, only to have them fade away and disappear before I had a chance to click on them. None found in snowy area, but I did find 1 as a second pet to a rat. Poor quality, but I can stone it. Had two of these bunnies spawn back to back in the snowy area at 52 23 coordinates. Search around the crater as other had suggested but had no luck, decided to try one more circle around the snowy area and got lucky. It was an uncommon but I'll just use a stone. Happy Hunting! I spent about 20 minutes looking for this pet. None were spawning in the snowy area so, I searched by the Dalaran Crater - as many had suggested - to no avail. One finally spawned in the northern part of the snowy area just southeast of the cave below "The Uplands". Hope this helps, good luck! Just got mine after 3 days of looking. I tryed to force spawn by killing all the other pets and the non combat Snowshoe Hare's with no luck i finally came back here was reading a few comments about getting him as a secondary pet so i went over and my first rat by the Dalaran Crater it was a rare. I was extremely blessed and i hope this helps other people looking for the little guy may you be just as blessed and happy hunting. After three days of flying around I tried the Dalaran Crater and after about 15-20 minutes I found a uncommon secondary to a rat. I'm sure if you wanted to you could find a better quality one there. I've had no luck in the actual spawning place. With the extra large surface area of their legs, snowshoe hares are able to effortlessly hop along the snow while their pursuers get bogged down in the drifts.